My husband has gifted me with a photoshoot with Iberian Black arts for a makeover shoot! 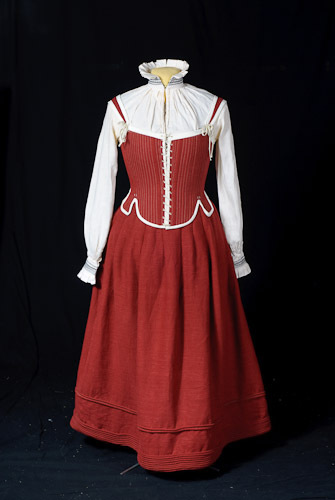 I’ll get to go meet at Patricia’s studio in England while I’m out at the Oxford Conference of Corsetry. Each shoot I’ve done with her for my corsetry has been a nice collaboration pulling together elements for the final look. In each case she has always been the one to figure out the hair and makeup. This makeover will be no different and I can’t wait to see what I look like with professional make-up. I am not very strong in that particular skill set. With this shoot, with the limited time and my tail bone length hair, we decided to go for wavy loose hair. Here are some of the “candids” test shots in my backyard pulling things together to take for the shoot. After sending these, Patricia suggested we aim for a Mucha style. 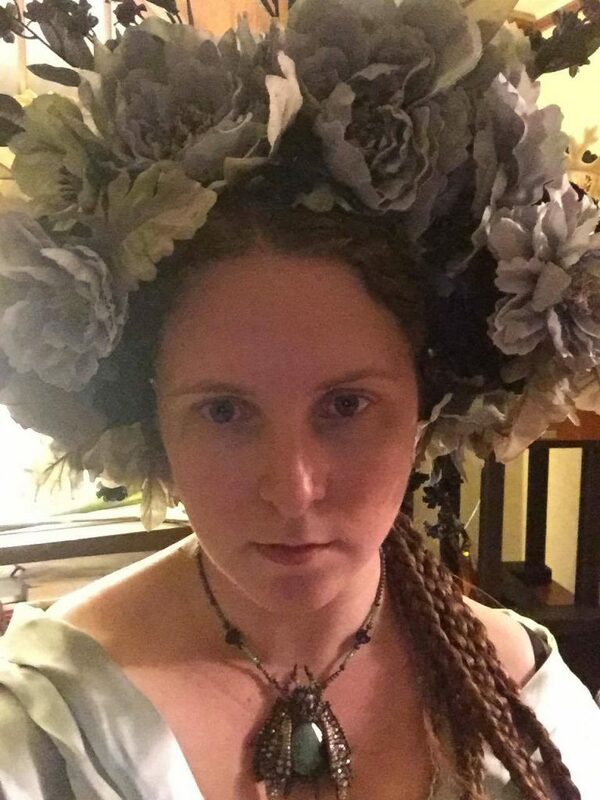 This gave me the idea to build a flower headdress and wear the mint green corset over my mint green bias dress. For the hairstyle I pre-braided and wet my hair the night before traveling. She then used a flat iron over the braids before we let them loose and put a huge fan blowing on them for the shoot. I put together a Pinterest board and she pulled everything together for the final imagery! 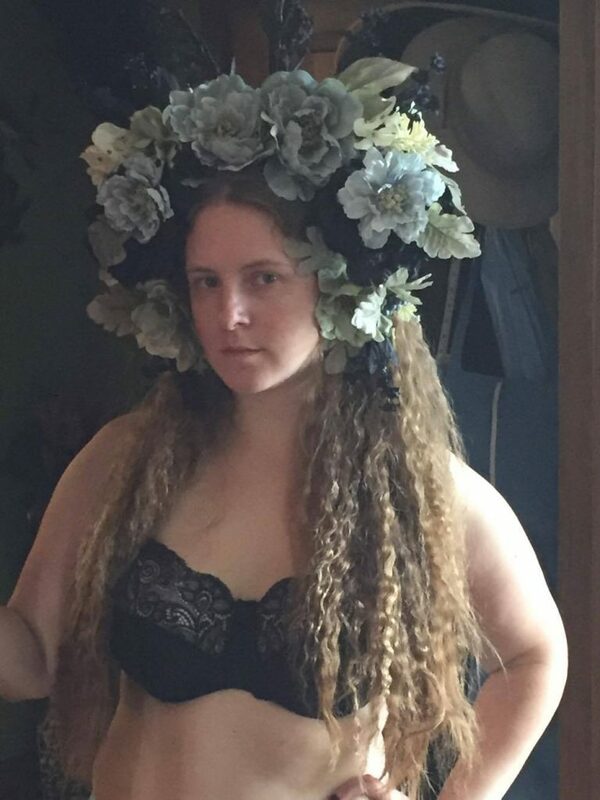 Just a few nights before I was headed to the Oxford conference of corsetry I set out and made this floral headdress. It is made from floral wire and pre-made faux silk flowers purchased at Michaels! It is one of my favorite things I’ve made and I intend to find other events and reasons to wear it for sure.